Hello Friends! Are you ready to win $500 Cash? 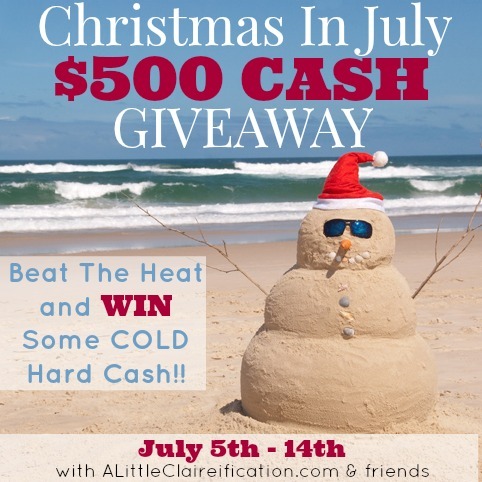 I am teaming up with some amazing friends to bring you Christmas in July! We love giveaways around here and we want to wish all of our readers the best luck… Are you ready to play? Check out the amazing bloggers that are part of this giveaway. We love following them and we hope you will too! To enter to win just follow the instructions below!